Learning to drive in the UK is very expensive, I’ve spent a lot of money starting to learn how to drive only to be unable to continue lessons largely due to the cost. I’ll be honest and say my apathy is also part of the problem, because while learning to drive is a great skill I’d love to possess, my bus pass works fine. So there’s that. My dad was very keen on me learning how to drive in Ghana, hopefully passing my test there too. That was the plan, but it didn’t end up working out due to some misunderstanding about how long I was staying. I was on the Express Program, which meant twenty hours of driving and four hours of classroom. I got all the way up to getting my provisional license before having to leave. 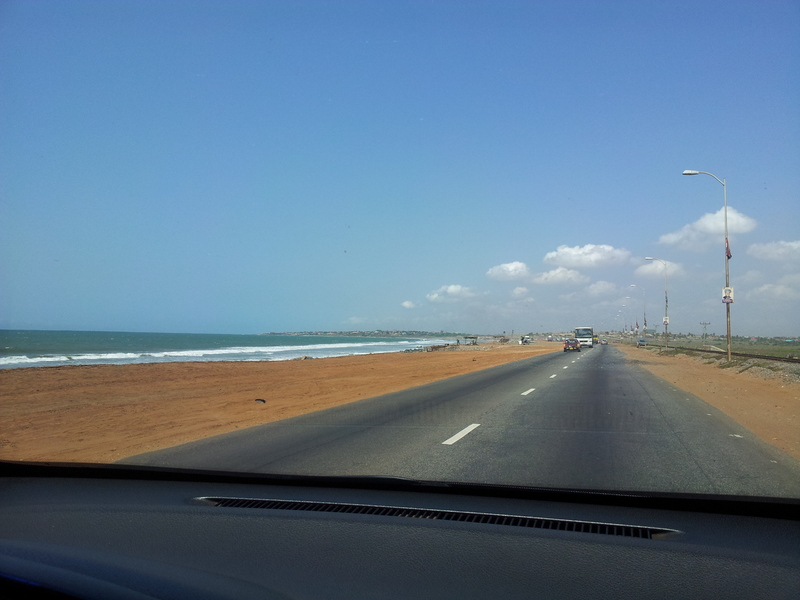 The main difference about learning to drive in Ghana was that the lessons are not one on one. You get into a car with about five other students, none of you are on the same level, but you go through your assigned lessons and you get out when you’re done. I was lucky because I think my teachers were intimidated by my parents so I was picked up and dropped off at home unlike the other students and once I was done they’d usually just take me home. The roads weren’t smooth like in the UK, the other drivers weren’t always mindful of road rules but I’m glad I took classes out there because I learnt under pressure. You can’t make a mistake out there, you’ll die simple as that. So I was always hyper alert, mindful of the road and my other road users, I learnt to be defensive and I learnt to trust myself. Even though I didn’t pass that’s what I took away from my lessons out there, trusting myself, something my teachers in the UK were unable to teach me. I learnt to love driving, to going down long stretches of road at 100 km/hour feeling the wind through the open windows and the sun beating down on my face. I felt that freedom that I was always promised would come with driving, and I loved it. Previous Post Ghana, Day Three: Red Dirt. Next Post I don’t do yardwork.